In a consumer-oriented society, we like to compare products and get the best value. But churches and pastors are not products! Is it better to be married or to be single? Nancy DeMoss begins a series called Singleness: Burden or Blessing. 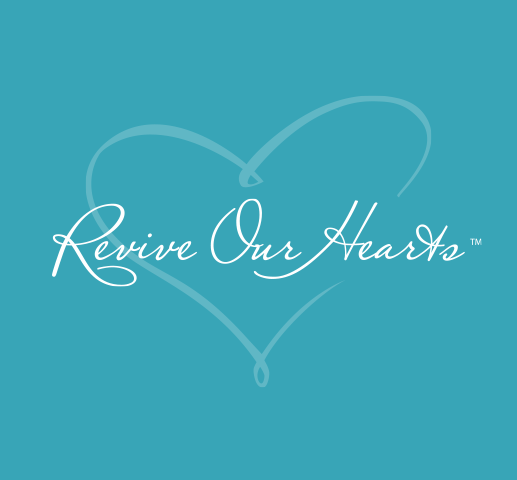 Join us on Revive Our Hearts as Nancy Leigh DeMoss helps us recognize God's gifts to us. Are you daydreaming about a change in your marital status? Do you trust God when it comes to your love life? Today's Revive Our Hearts discusses the burdens and blessings of single life. Should a woman actively pursue marriage? Join us on Revive Our Hearts today as Nancy Leigh DeMoss gives us a to-do list for singles and marrieds. New Testament instructions regarding women in the church need to be correctly interpreted. If you start practicing biblical submission in the home and church, does it mean you can never state your opinion? Does it equal blind obedience? Marriages come under attack from two opposite enemies: aggression and passivity. Nancy teaches how to avoid each of these threats to a relationships. Maybe you've heard people say they believe in God but don't feel the need to go to church. Well, Nancy Leigh DeMoss emphasizes the importance of the church. If we speak without love, our words are just noise--kind of like an orchestra tuning. But when we speak with love, it can be as beautiful as a concerto. Take this "love test," a spiritual inventory based on 1 Corinthians 13, to determine specific areas of need in your life. It’s sad, but sometimes it’s easier to show kindness to people we don’t know very well than it is to show love to our own families. When you think of sins we’re often guilty of, does rudeness usually make the list? According to the apostle Paul, being rude is the opposite of love. Early in a relationship, most married couples experience strong romantic emotions. But what happens when the feelings change? Is love primarily about feelings or about choices? Find out what happens to our emotions when we choose to act in love, regardless of circumstances. Popular culture is filled with ideas about "true love." What does the Bible have to say? Gain a biblical understanding of love. We all face circumstances that make us really angry. But as we learn to live in love, fewer and fewer things will provoke us to anger. Sometimes it’s hard to show love in real life situations.